The Edwardian vintage rings are merely perfect for brides who favour delicate, feminine engagement rings. Shining with filigree work and glittering patterns of beautiful diamonds, Edwardian rings showcase a nostalgic air of refinement. Think about Audrey Hepburn in My Fair Lady, and you’ll have an idea of the beauty of the dress and jewellery of the Edwardian Age and why we fall in love with its grace and style. While commonly the diamonds were used liberally and abundantly in Edwardian rings, brightly coloured gemstones were also featured prominently. Pastel coloured gems were favourite, especially amethysts and kunzite as purple and pink were the favourite colours of the trend-setting Princess Alexandra. The natural pearls were observed as a sign of wealth and purity and were used generously in Edwardian rings, necklaces, and earrings. 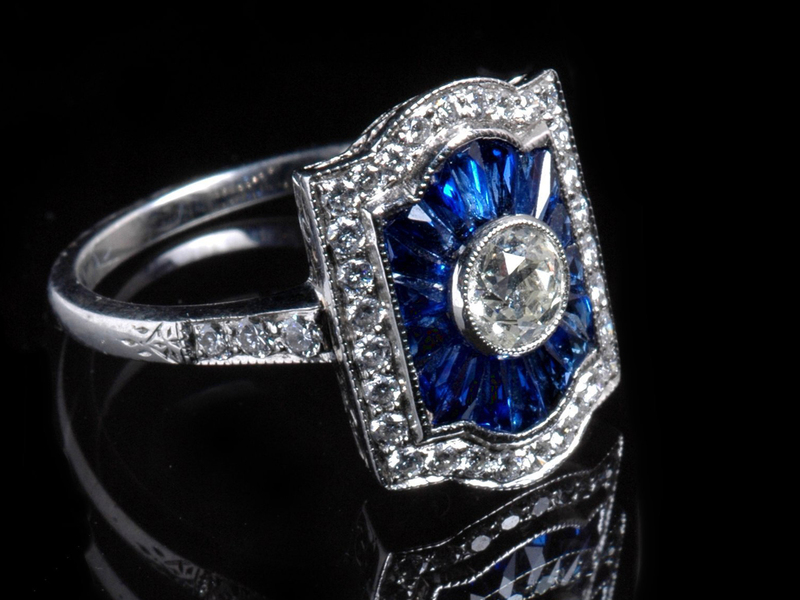 If you are interested in a genuine Edwardian engagement ring, many online antique dealers can help you are buying. Even though there are many favourite antique dealers on the internet, nothing matches the quality of RPS Jewellers who employ skilled gemologists. In addition to guiding you about the Edwardian Period, we can also educate you about other design periods. Also, reputable antique dealers know that every vintage piece is unique and that pictures don’t always capture the portion accurately. Therefore, you should also look for a return policy if you are not satisfied with your item. You can call us immediately after getting the item to alert about your unhappiness. They usually have a designated number of days when you must return the item for a refund. Engagement rings can only be sized larger or smaller to specific sizes until the integrity of the ring becomes compromised. Also, many Edwardian rings have hand engraving along the metal and sizing may remove the designs. As we reviewed in the diamond cut styles, diamonds weren’t cut to the correct proportions to provide maximum brilliance like they are today. The diamonds in Edwardian engagement rings will be less sparkly. These are antiques that mean they will have wear on them. Prongs might be thin and may require re-tipped. Also, the gemstones could have some abrasions from years of wear by former owners. Many diamonds will not have a diamond grading report. The GIA will surely not grade a ring mounted diamond and removing a diamond from its setting could damage the historical accuracy of the piece. RPS Jewellers pursue brilliance, believe in elegance, strive for excellence, and promise only to deliver the most ethical jewellery to our great clients. With us, you can buy engagement rings online at extremely affordable rates. There are no specific rules that can determine which engagement is right but here at RPS, we’ll help you find the best ring that speaks to your heart. The engagement ring you buy her today will define a lifetime of happiness, so make sure to stop by to find her the perfect ring.